More Than Just a Pretty Face! In 1895, Will Green, the surveyor-general of California, reported having seen Clarkia flowers of different hues covering the plains. 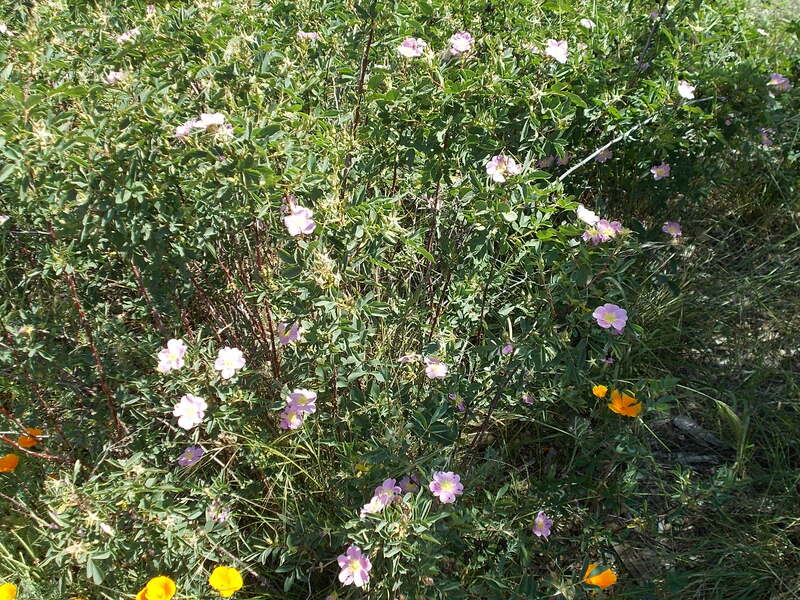 In Pleasanton, California, a late prehistoric cremation site was discovered containing tens of thousands of charred Clarkia seeds, as reported by archaeobotanist Eric Wohlge- muth. 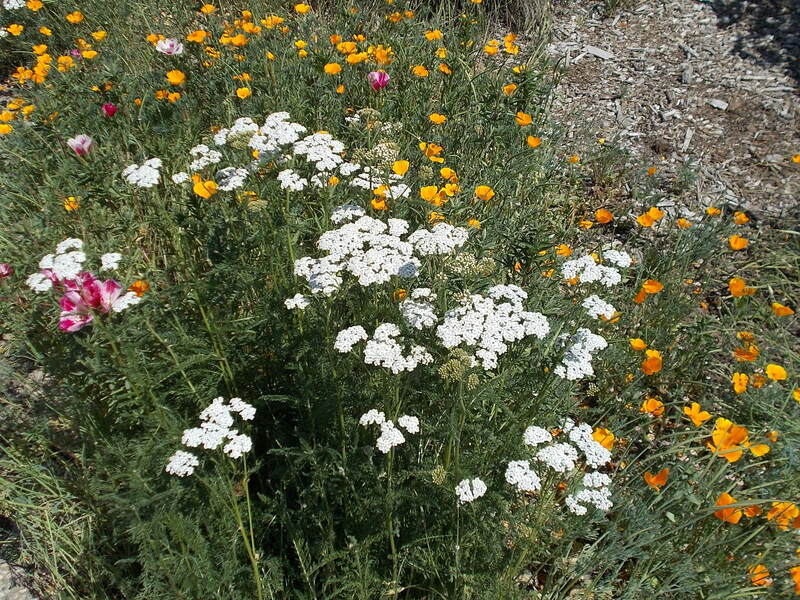 They were placed there by Native Americans as offerings, along with remnants of other plants. Altho the seeds are very small, 20-30 pounds of the seeds could be gathered in one day for use as food. They could be eaten dried, or cooked into a form resembling oat- meal, or blended with water and other ingredients to make a pinole-like beverage. 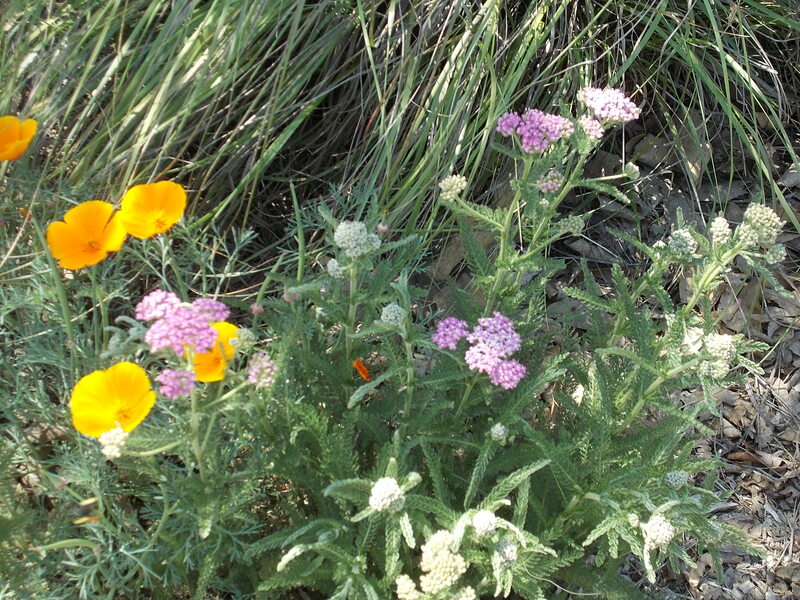 Large patches of Clarkia, along with milkweed (Asclepias) and yampah (Perideridia) supported vast populations of butterflies and insects that, alas, no longer exist in these numbers. 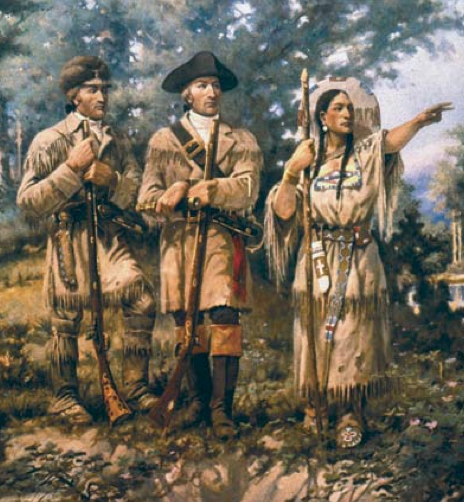 Tending the Wild Native Americans employed several strategies, mainly burning, coppicing and selective pruning, to increase the health and vigor of many of the plants they depended on for their needs. These included food, medicine, tools and utensils, weaponry, and even toys and musical instruments and trade with other tribes. Fire was an especially critical tool used to increase the abundance of Clarkia and other edible and otherwise useful plants. In addition, fire was used to control insects and disease that could damage plants that were used for the above categories, and to re-seed patches for future growth. 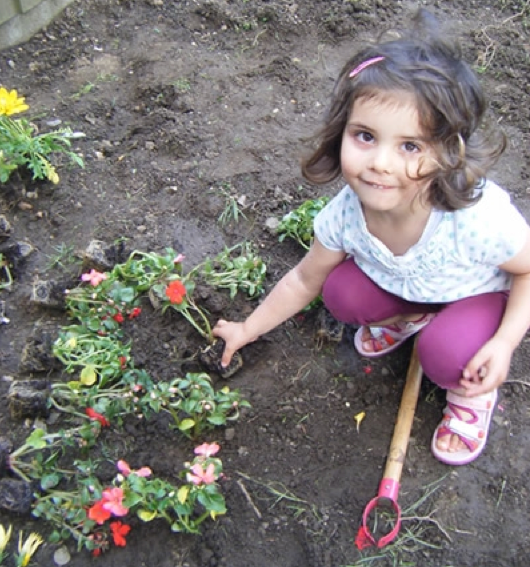 A Good Choice for a Child’s Garden If your love of gardening and native plants has inspired your little one to start his or her own plot, Clarkia is a good wildflower to start with. A high percentage of the seeds will germinate in 5-6 days, if sown indoors in early January. Just sprinkle a few seeds over some dampened planting mix in small pots, cover with a little more soil, and don’t let the soil dry out. 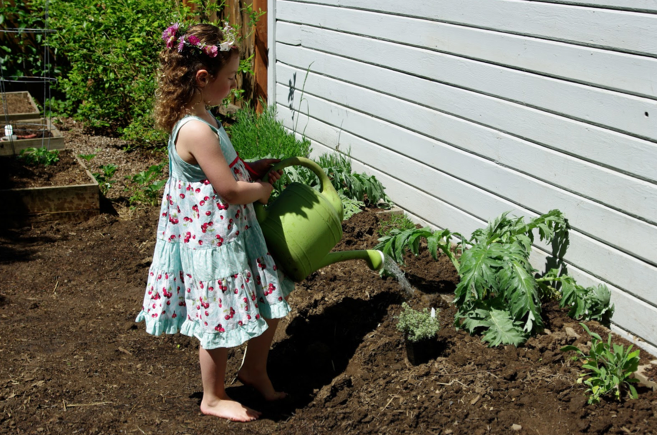 When the seedlings are about 2 inches tall, they can be transplanted directly into the ground where they will get full sun, or sun most of the day, and keep them watered. Remove weeds as soon as they appear. And maybe protect the seedlings from slugs, snails and earwigs with a sprinkling of environmentally safe iron phosphate, until the seedlings get big enough. Or, if you prefer, you can sow the seeds directly on the ground in the fall and wait for the autumn rains. They will bloom in March or April. After the spent flowers are trimmed off, they may re-bloom a second time. You may plant more seed in early spring for blooming in late spring. Clarkia re-seeds itself readily, so you can expect to see more seedlings coming up in the same place the following year. Or plant some in pots and some in the ground, and see what works best for you! Seeds can be purchased inexpensively from the Larner Seed Company in Bolinas (www.larnerseeds.com), although there is a minimum purchase of $20 if you order by credit card. 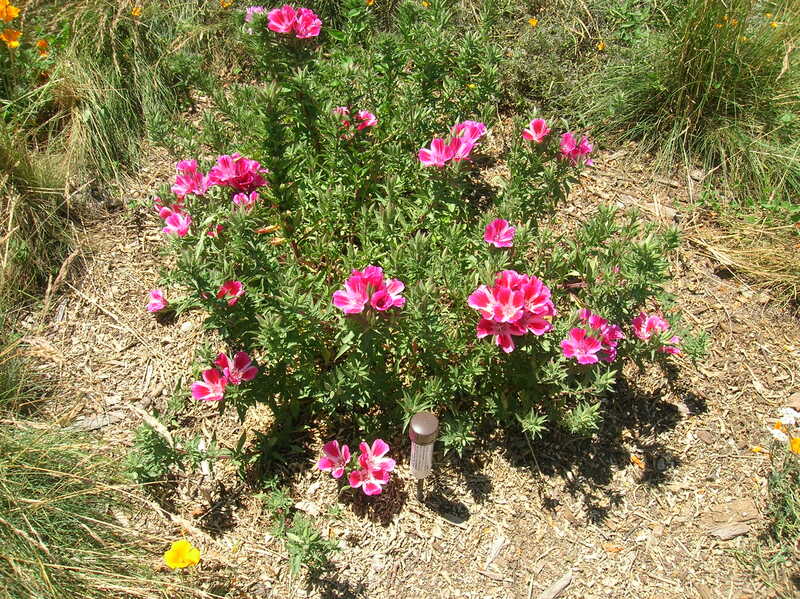 However, you might want to order seed packets of a couple of other Clarkia species in order to see the variety, and/or other types of California native wildflowers. California poppy (Eschscholzia californica) is another good choice for a child’s garden, and Larner’s can suggest other wildflowers you might want to try. Miner’s lettuce (Claytonia perfoliata) doesn’t have an impressive flower, but it does have an unusually cute perfoliate leaf, and it is edible, resembling butter lettuce or spinach in a salad. And it re-seeds itself freely, from year to year. A list of suggestions for a child’s garden is too long for this edition of the Granada Native Garden. If you would like to see the list, just email Jim at JIMatGNG@gmail.com, and he will forward it to you! We planted a native wildflower seed mix about 4 years back and the clarkia have reseeded themselves each year and not just where originally planted – they are now everywhere! Among the vegetables, in the cracks of the side walk… They seem to need virtually no water and bloom for months. They look gorgeous in a vase and because the buds open one by one they look good for a week or more as long as you occasionally shake off the withered petals. We get compliments on our yard all spring because of their showy blooms. It sounds as if Clarkia has more potential, attractive-wise, than I imagined. I’ll experiment with them. The few Clarkia that we planted last year have sprouted up in a number of different places at the GNG. They are just starting to bloom at the GNG this past week, and I kinda hope they will become as invasive as the poppies. I hope the Clarkia take over GNG too 🙂 Love them with the Poppies and the Lupine!